(or the real Santa?) This is a transcript of an article printed in Scribners Magazine 130 years ago. It is quite interesting reading, hmmm...., I wonder what has changed. AMERICANS cannot but be interested in all that relates to Norway and the Norwegians. The old Norsemen who visited our shores some five centuries before Columbus discovered the New World, have transmitted to their descendants many of the sterling qualities that made them once pre-eminent in Northern Europe, and the curious student who pores over the scanty records of their voyages to North America, should visit the land of their descendants, who are still a hardy race, and who have to a surprising degree adhered to their language and habits, their dress and architecture, naval as well as ecclesiastical. Moreover, Norway, if we are correctly informed, sends annually ten thousand of her sons and daughters to our shores, and they form, with the Swedes, the most valuable class of immigrants, learning our language with remarkable facility, and conforming to our ways and customs the more readily since they are closely allied to us by their mental traits. The poorer class of Norwegians, with their blood relatives and neighbors, the Swedes, on the whole form the finest class of peasantry in Europe. Indeed, we were constantly reminded of New Englanders and, the inhabitants of our northernmost States, in noticing the faces and idiosyncrasies of Norwegians. The common people rule absolutely in Norway as in America. They have never, strictly speaking, been under feudal laws, and have none of the servility and obsequiousness of the peasantry of England, Ireland, and Germany. Still independent, bold, and careful of their political rights, which each man holds as if a sacred trust handed down from his Viking ancestors, they excel in beauty of person, stature, and a certain freedom and nobility of carriage, those of a similar station in life elsewhere in Europe, not even perhaps excepting the Swiss. In these respects, they constantly remind the American traveler of the poorer class of farmers in New England and the North-western States. Add to this their strict economy, their proneness to strong drinks, in which during the fishing seasons they indulge far more than the people of Southern Europe, a taste undoubtedly fostered by the rigors and sudden changes of a cold climate; their devotion to chewing tobacco, almost a national trait; their native wit and mixture of simplicity and a certain quality of shrewdness, and one detects many points of agreement between life in Norway and in colder portions of the United States. We had traveled from Copenhagen to Stockholm through a country so wonderfully like the flatter portions of New England, that we experienced a delicious home feeling. Here were groves of the ever-murmuring pine, with scattered clumps of the familiar birch, though exceeding ours in the beauty of its tracery of drooping branches and leafy sprays; with lakes blossoming with pond lilies identical with ours, and embosomed among swelling hills and rolling prairie-like fields, repeating exactly the scenic features of New England. The illusion was carried out by the faces of the people, portraits of those we had left at home; many a face might here have found its counterpart in any Eastern city or country town of America. Nature is constantly repeating herself over the world, but she evinces a rare economy in the Northern hemisphere, where representative species, races even, among plants and animals, stock countries of opposing continents, which are themselves organic equivalents, their geological history being parallel chapters in the history of the world. In going from Stockholm across the country and entering South-eastern Norway, with its rugged hills and trough-like valleys, its tarns and lakes, and tumbling streams, bubbling brooks and roaring torrents, with smiling farms surrounding the familiar red farmhouse, and here and there a sandy barren waste, the more hilly parts of New York and New England seemed reproduced. On the other hand, along the southern coast, especially in the Christianiafjord, the multitude of islands, the rocks and skerries, either crowned with birches and firs, or bare and naked, recalled vividly the deep bays indenting the shores of Maine; though, in justice to the latter, we must say that no scene about Christiania, lovely as it is, approaches the wondrous beauty of Casco Bay, perhaps the finest indentation on the eastern coast of North America. The vegetation is much more scanty and far less varied than in Maine, while the beautiful coves and shaded harbors of the Maine fjords, or bays, have a fascinating beauty peculiar to themselves. The similarity of the northern coast of Norway to that of Labrador is also most striking, though here, on the other hand, the difference is much in favor of the Norwegian scenery, the fjords being much deeper and longer, and the mountains casting their reflections into the waters from a far greater height; while the coast of Labrador is in a degree monotonous. The feelings of interest and awe inspired by the scenery at the head e of the Sognefjord equaled those awakened by the finest Alpine scenery. Then again, the summer months witness the arrival on the northern coast of Norway of fleets of fishermen, as in Labrador. Moreover, their winters, long and dark, with deep snows, severe cold, and the long spring-time, are very similar to those of our Northern coast. National characteristics depend to a certain extent on the nature of the soil and climate, and, though naturalists maybe too prone to ascribe national traits to physical surroundings, and leave comparatively nothing to religious and moral agencies, every one rightly traces the hardy and adventurous spirit of northern peoples to their rugged soil and bracing climate. The Vikings and their subjects owed much of their bodily activity and success in arms to the influences of their northern climate. They were indeed a hardy, but also a rude race. With all their love of song and rude acquirements in art they were out and out heathen, with the vices of heathendom, and the dark superstitions of a brutal age. We should remember that if they were semi-barbarians, many lights relieved the shades. 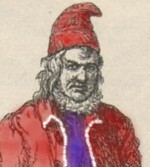 We are told by modern Norwegian historians that the chapters in the lives of the old North Sea rangers, notably Harald Haarfager, the Fairhaired, and others less known to fame, rough, ruthless freebooters, that they were, yet glow with records of deeds of kindness to foe as well as friend, and that the virtues of charity and forgiveness were not unknown among them. A heathen is a heathen, but a Goth is a man for all that. Though these Gothic races, upon whom the Romans looked down with ill-disguised contempt, were rude pagans, yet they possessed the latent qualities that under favoring circumstances of soil and climate, and the moral régime of Christianity, blossomed out into the finer qualities that mark the present Scandinavian races. Their history repeats that of the English and Germans, as they arose from the common Gothic stock, originating from an unknown race, which, after flowing over in waves of migration from Asia into Eastern and Middle Europe, sent an advance guard, the ancestors of the Norwegians, into Scandinavia, by way of Denmark. If these people were semi-savage they yet carried in their souls those latent germs destined under a favoring Heaven to bud forth into a higher and richer life, and a more complete civilization than that same Roman people who once despised them. It is interesting to trace certain traits and customs in vogue among the conservative Norwegians of this day, back to the old Norse ways. These bits of Norse manners are like the fossil shells and leaves and waifs left by the wreck of ages in past geological times, with which we repeople the worlds of the past. The manners of the people, high-born and peasant, are simple; one is struck by this after passing through Southern Europe and Germany. Undoubtedly, next to the originally independent spirit of the people, this simplicity has been fostered by the abolition of a hereditary nobility. Since 1814, all titles have been abolished. Indeed, Norway is a nation of farmers and fishermen, with a few men of comparative wealth and distinction, who claim to be descendants of the Sea kings and chiefs. They reside in the larger towns, as one sees no country-seats in passing over the inland roads. The manners even of the wealthy and cultivated class of Bergen are peculiarly simple, nearly as much so in some respects as among the rural population of the older of the United States. While steaming down the Sognefjord our vessel would occasionally touch at the fishing hamlets clinging to the mountain-sides, and sometimes looking as if ready to drop into the dark deep waters beneath. Boatloads of villagers came off and surrounded our steamer, and almost invariably the girls and young women, with bright, comely faces, crowded some of the boats (with one or two boys to row them), while others would be filled with boys and young men. On the shore stood groups of matrons with their babies in their arms, watching the weekly or fortnightly visitor, and rows of maidens standing hand in hand gazed at our craft, while the young men and boys stood apart by themselves. There seemed to be little of that intimacy between the young people of both sexes which is so common with us; while, on the other hand, there was none of the precocity of superannuated boyhood, and of coquetry in the girls, that is too apparent among American youth. Naturally enough, when the sexes do come together, the courtship is brief. Love at first sight, followed by a speedy wedding, results in happy unions, that remain so throughout life. Wedded happiness, we were told on good authority, is the rule and not the exception. Once married, the husband and wife always remain ardent lovers. They are fond of dinner and evening parties; the company assemble at five o'clock, not breaking up until early in the morning; of these twelve hours many are devoted to the pleasures of the table, while the later moments are spent in dancing, acting charades, and playing games; or stories are improvised and poems rehearsed, which draw out the natural quick wit and humor of the Norwegian. Singularly enough, in Bergen, at least, if not in other cities, the ladies, when dancing is not going on, sit by themselves, sometimes even in a separate room, while the gentlemen occupy another. Little of the time is spent in conversation, games and charades and dancing forming the staple amusement; hence, to an American or Englishman, these prolonged soirees, if such they can be called, are irksome and formidable affairs. Though slow in action, and with a national clumsiness and brusqueness of manner, compared with the peoples of Southern Europe, there is a great deal of mental activity among the cultivated class. Norwegian poetry and prose are represented by such names as Welhaven, Wergeland, and the popular novelists, Janson and Bjørnstjerne Bjørnson. As in America, religious books form the bulk of the popular literature, the Lutheran form prevailing almost exclusively. Eminent authors are pensioned by Government, and statues often erected to them after death as public benefactors, while liberal sums are voted by the Parliament for the endowment of museums and observatories, though most of the members of the Storting or House of Parliament are sent from the country. The drama and music thrive in Norway, and their national airs keep alive the flame of patriotism. A new dramatist has lately arisen, Henrik Ibsen, "a poet", says the London "Spectator" (and the "Academy" gives equal praise), "who is fast gaining for himself that European fame which nothing but the remoteness of his mother tongue has hitherto denied him." The Norwegians are most successful in painting. The pictures of Dahl, Gude, and especially Tideman, are the favorites, the most attractive and characteristic being the latter's views of peasant life. In science, the name of the zoologist, Sars, is familiar to Americans, while the reputations of Lassen, the Orientalist, Munch, the historian, and Hansteen, the physicist, are cosmopolitan. One of the finest museums of science we visited in Europe, whether we regard the building itself, or the many treasures it contains, is that at Bergen. The Museum of the University at Christiania is stocked with rarities dredged from the Norwegian seas, and none are more interesting to the American naturalist than those obtained from the fjords, as they are either the co-species or countertypes of the inhabitants of the Labrador fjords, and the deep bays and reaches of Maine. With all their love of art and science and modern literature, the newspaper, and the magazine, and in spite of the influx of English, American, and Continental travelers, the middle and lower classes (though such distinctions are quite artificial) still frequently adhere to their old costumes and style of boats and vessels, as well as churches. Like that of a Neapolitan, the costume of a Norwegian fisherman is picturesque in the extreme - startlingly so when we consider his remote northern home, with its harsh mountain scenery and cloudy skies. There he stands in his light boat, with its high stern and prow, as if a legacy from a Viking - a reminder, as well, of a Venetian gondola; with his high skull-cap, its pointed end drooping down; his legs encased in blue breeches, succeeded below the knees by long white woolen stockings, with a jacket of the same blue homespun decked with two rows of brass buttons, while his feet are protected by stout ox-hide shoes. From under his jacket the carved ivory handle of the ever present knife sticks out, used in old times in their affrays; but now simply a domestic utensil. If aged, his long flowing silvery hair lends a dignity and confers a grace that is quite captivating. Perhaps by his side stands his wife in her tidy blue thick homespun dress, the waist gathered and plaited, the skirt a little short, her hands folded placidly before her, and her intelligent, pleasing face flanked by the broad flaring wings of her neatly ironed snow-white head-dress. If it be a Sunday, the dress of the peasantry is very attractive, but on week days the dress of the women, who do so much out-of-door work, is somewhat untidy. That Sunday afternoon passed under the walls of Oscar Hall revealed more of the national traits of the Norwegians than the sum of all our other Norse days. It was a lovely June day, and the sun sent down its pleasant rays over the sparkling waves of Christianiafjord, its islets crowned with birches and pines, its shores dotted with neat, unpretending summer-houses, each with the national flag fluttering from a flagstaff planted in front. From early morning the lively little steamers had carried loads of pleasure-seekers from the wharf over a distance of two miles to Oscar Hall. Though the churches were well filled in the morning, there were hundreds to be seen long before the time for service, hurrying to the steamer with their babies and picnic baskets on their arms. By the afternoon several steamers were panting and puffing in jealous rivalry over the course, all too small to accommodate the eager crowds of Sunday junketers. We land and follow the throng up the steep walk, past small wooden suburban cottages, through narrow lanes, over broad fields. Gay streamers and jaunty flags fly from the beer gardens, dance halls, and pine groves filled with excited pleasure-seekers, in which bands of music are stationed and itinerant organ-grinders add to the din, while long rows of women and girls with baskets of cakes, candies, and goodies line the more crowded avenues. It is St. Hans' day, and the gentle saint is honored by a popular ovation that would have done more credit to the followers of St. Olaf. We buy a ticket admitting us to the most aristocratic dance hall, - a building made of rough pine boards, and surrounded with numerous booths and beer saloons shaded with freshly cut birches, under whose cooling boughs strange liquors are dispensed. We make our way through the surging mass of bacchanals eager and excited, some with pleasure, others with divers forms of Norwegian nectar. Crowded and jostled by rude fellows, we occasionally step aside to make room for two or three inebriates. Again and again, as we go, we turn to look at groups of peasants from the country clad in their short jackets or short-waisted gowns. We press on through a crowd of young people who, in the interval between the dances, have rushed out to cool off, and as we push indoors a quartet orchestra strikes up a waltz. A score of couples waltz desperately in the hot, ill-ventilated hall; from a rude gallery a few spectators look on the scene, while in a corner near the entrance two or three women keep watch over a counter decked with beer bottles. Suddenly the music stops; the leader of the band rattles a tin plate on his stand and calls loudly on the dancers for contributions, and does not strike up again till all the male partners deposit a coin in his plate; the skillings jingle in his pocket and the dance goes on, unless rudely interrupted by a drunken quarrel, - caused by love, jealousy, or rum. We leave the riotous scene at an early hour for the city, and lie awake through the long midnight twilight, the ruddy glow in the north at twelve lighting the revelers home. Life does not seem to press hard upon the average Norwegian. He is fond of his wife, loves good liquors, and is a conservative in sociology. He is polite in certain ways, removing his hat and bowing low to his superiors or equals, but strangely brusque and wanting in consideration at times. He has a decided weakness for foreigners, especially Americans and Englishmen, a trait of an isolated and untraveled race; for if one appear in some remote inland hamlet or sea-port, he is stared at and commented upon as though a rare specimen of natural history. The patriotism is of a good quality, and in sturdily maintaining the good old ways of "Gamle Norge" (Old Norway) the Norseman leans a little to conservatism, and but slowly adapts himself to altered circumstances. The waiter in a Norwegian hotel is a fair type of his proprietor and of his countrymen as a whole. He is a good-natured fellow, well-meaning, but clumsy, forgetful; and unsystematic, the art of doing things is with him by no means a fine art. So in a degree throughout all the walks of life. The richest man in Norway, a banker, is worth a million and a-half dollars. Though with a good soil, plenty of land, rich mines, fisheries, a fair commerce, and a government as free as ours, the Norwegians are pressing toward America. At the present rate of emigration the country bids fair to be almost depopulated in two or three centuries, as there are less than two million inhabitants, and the young men and women do not stay at home. I asked a returned Norwegian farmer who was to fall heir to ten thousand acres, why he liked America better than home. He said he got more meat, could eat at a separate table, get far better wages, and, in fact, was more of a man in America than at home. This is the secret of the emigrant movement, whether on the hart of a Norwegian peasant, an underpaid and too liberal-minded German professor, or an overworked middle-class man in England. The convincing argument of meat twice a day and a better social position will forever drive away that wolf from the door of some political economists in Europe to whom the Malthusian doctrine is a nightmare.